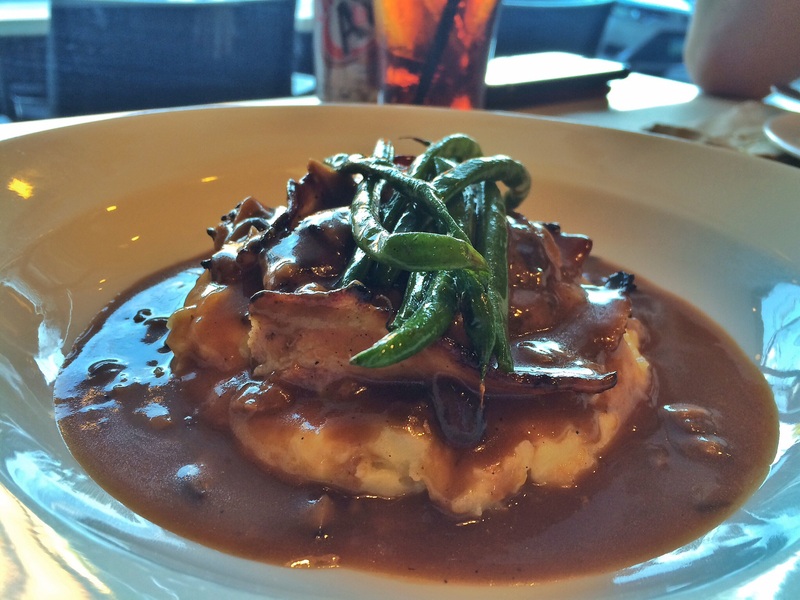 Hubby and I love to eat and while we do have our favorites, there are just so many new places to try. One particular weekend, I got bored and decided to drag him to Marikina – one of those not quite under the radar yet not quite mainstream foodie havens that we have not yet explored. One particular place got my attention because, well, how can you not be curious when it’s got a name as pretty as lilac? Lilac Street is one long strip dotted with quaint restos, cafes, and bars. We got there mid-afternoon and spent a couple of minutes driving up and down the street until we decided on a cluster of three restos near the end of the strip. 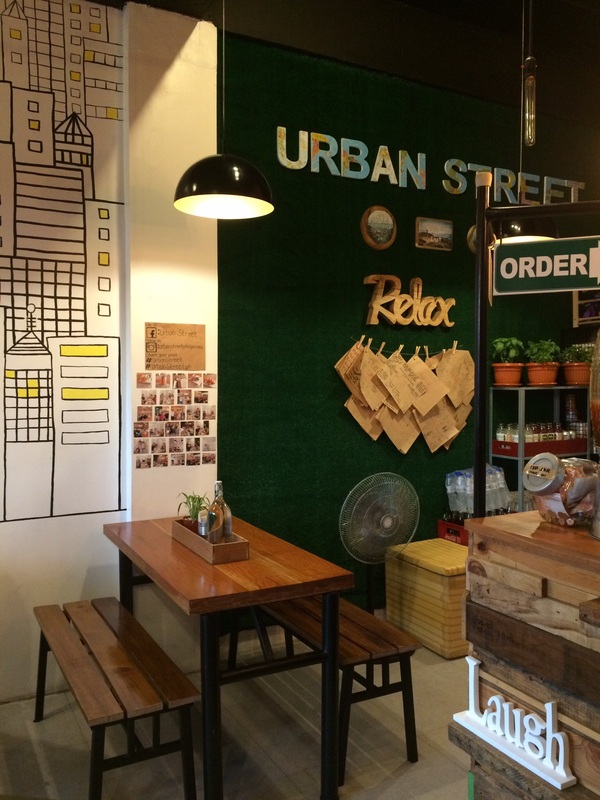 One offered Filipino food (based on the name), another offered pizza, pasta and steaks, and a third offered street food. Hubby and I were quite famished as we haven’t eaten anything and it was past 3PM, so we went to Leon’s Bistro to have a very late brunch. I normally avoid ordering pasta in new restos since I often get disappointed but since this was a food trip after all, I figured, why not risk it? 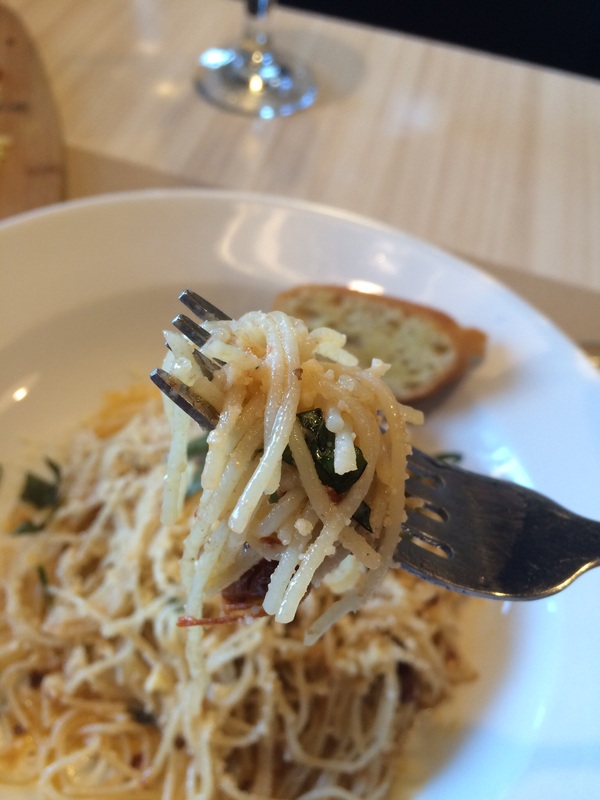 Well, one bite and I knew the gamble paid off: I got the aglio olio with anchovies and sundried tomatoes, another steal at Php 160. I loved how perfectly done the pasta was and how the anchovies and tomatoes perfectly complemented each other. I hate tomatoes in general, but this was just too perfect. The only comment I have is that the bread was rather too hard, like it has been microwaved too long and left to harden. Other than that, I actually finished the entire order as it was that good. The hubby, upon seeing the menu, quickly settled on the most high-blood inducing dish available: bacon-wrapped beef tenderloin medallion with mashed potato, which, at Php 330, is also the most expensive they have to offer. Meat on meat can be too much for other people, including me, but the bacon and beef medallion were so perfectly soft and juicy, yet well-done. And the gravy was a good foil, a bit salty with a dash of pepper. I honestly wanted to grab the plate from hubby. Haha. 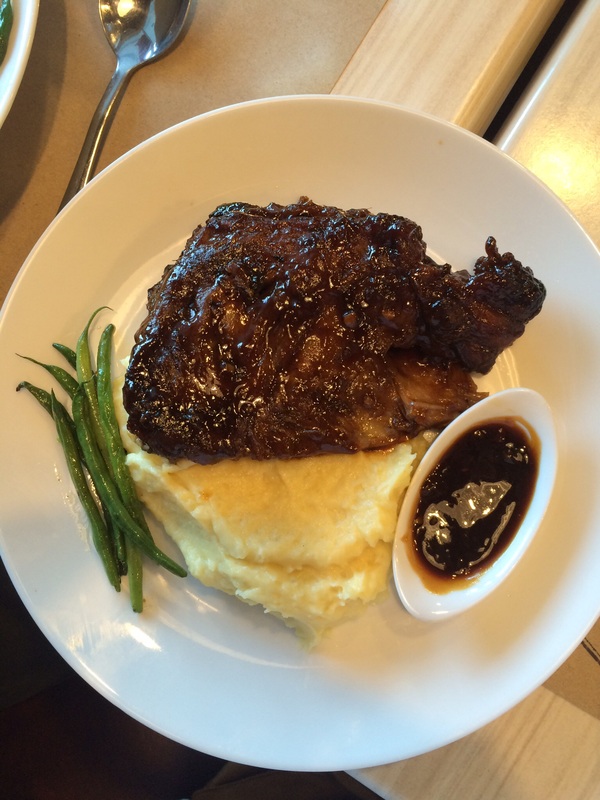 Anyway, we enjoyed what we got so far, so much that we decided to order the baby back ribs, Php 225, which was another hit. Seriously, I want to find out how they make the meat so tender, juicy and tasty, that we didn’t even need the sauce that came with it. Leon’s also offers dessert but we wanted to try the Urban Street next door, which offered, quite obviously, street food. I mean, the last place I have been to that offered grilled isaw was the Mercato Centrale in BGC, and that was out in the open with all the smoke wafting in and around you (no, I am not complaining, but for a person like me who is allergic to dust, smoke, sweat, and scents, that can be an ordeal). 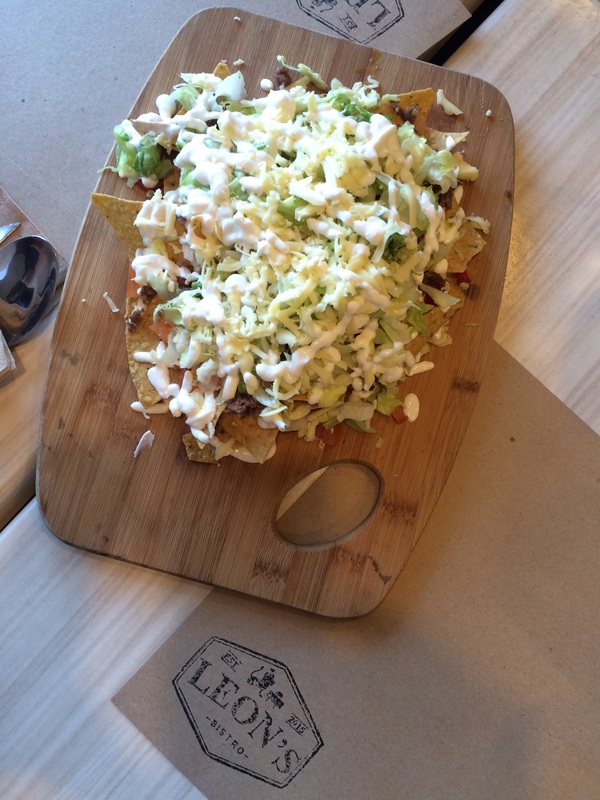 This place offered the same food in the airconditioned comfort of a rustic little neighborhood tambayan. Anyway, we got a bit predictable and ordered the Manila Stret Food Tusok Tusok, Php 75, a plate of fish and squid balls and kikiam with sweet and chili sauces. I haven’t had fish balls in years! 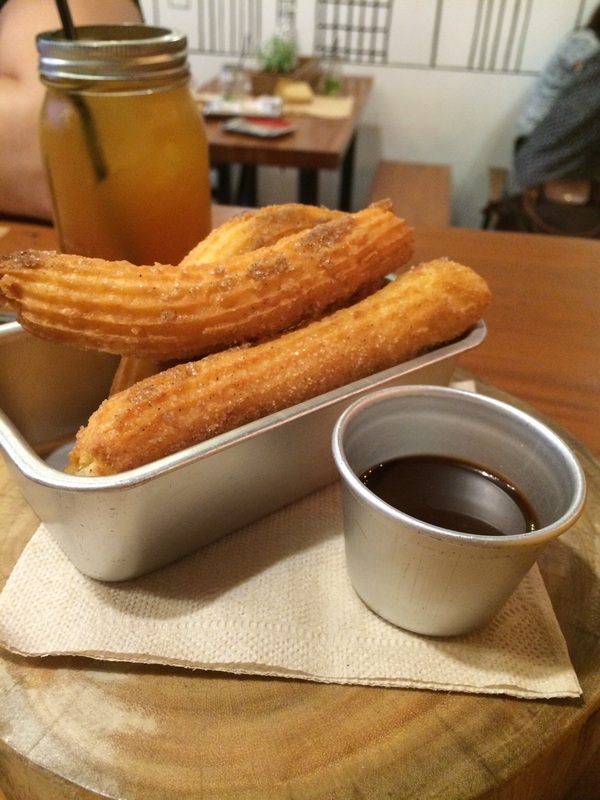 We’ve been dying to try their churros since spying it on the blackboard outside and it did not disappoint either. Crunchy and sugary on the outside, yet soft, buttery and creamy on the inside, this is, I think, one of the best churros this side of town. And when dunked in the chocolate dip, it made me forget all about my diet plans. 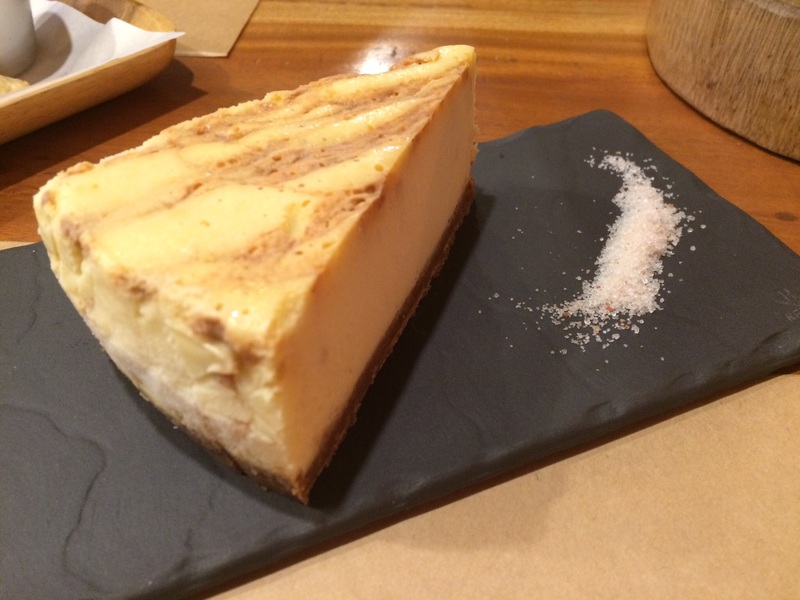 But let’s save the best for last: their frozen salted caramel cheesecake, Php 110, with Himalayan pink salt. It is to die for. How come no one thought of freezing cheesecake before?!? It was so good the hubby forgot about me and ate off the last morsel as I was busy saving photos. 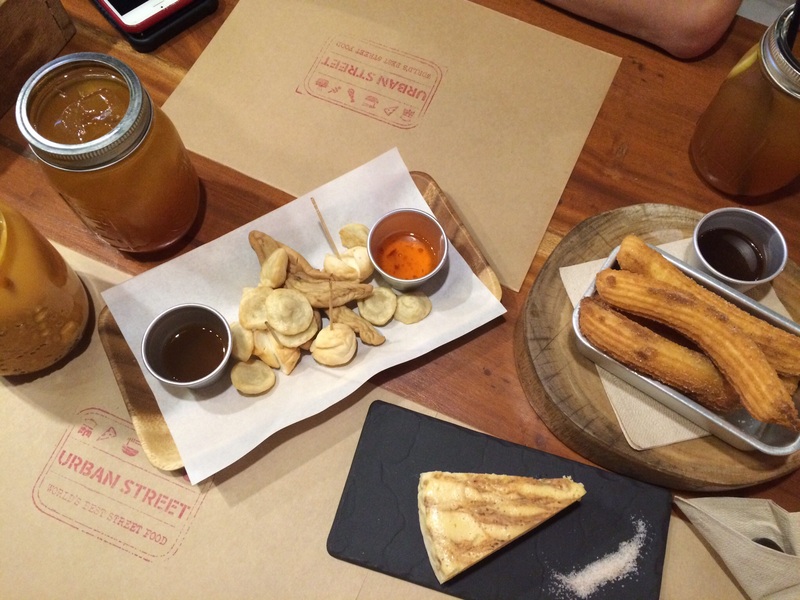 I wasn’t really expecting much from our food trip but I thoroughly enjoyed it. I’m already thinking of next week, and maybe driving all the way to Antipolo for a little cool breeze. And the best part? For three adults, we spent a total of less than Php 1,500 for our lunch and dessert, including glasses of fresh iced tea. That’s quite hard to beat if you eat at a mall. I am definitely coming back.